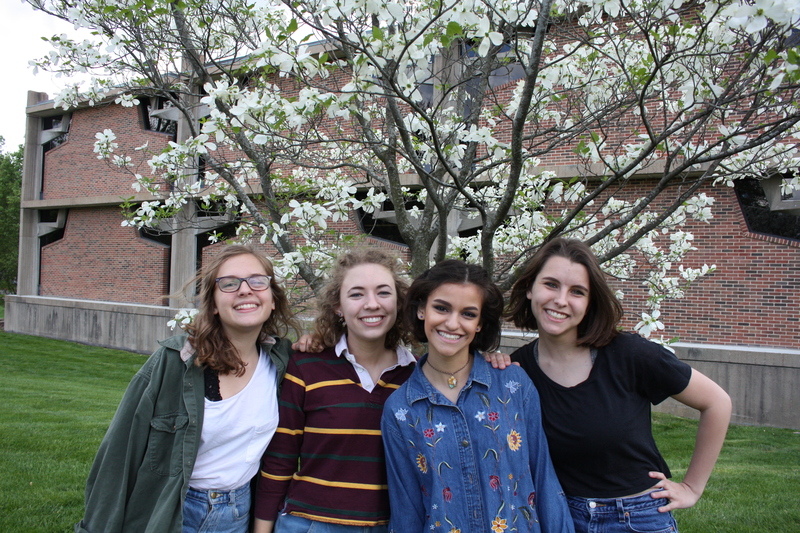 Best friends Annie Bryan, Bekah Perman, Gianna Metzger and Jenny Perkowski, seniors, have been through it all: controversy, bullying, the inability to decide what to do during the weekend. “A lot of people think we’ve been friends with each other for a long time, but the four of us have only been friends since sophomore year,” Perkowski said. “First it was just Gianna and Bekah in middle school, and then I tagged on freshman year, and then we threw Jenny into the nice pot,” Bryan said. Bryan and Perkowski also met in middle school, drawn together by Perkowski’s graphic T-shirts from Delia’s. The group started WGHS’s Feminist Coalition last year, a club met with lots of support, but also a lot of controversy. “The four of us were really interested in feminism outside of school, and it was something we always talked about. We were like ‘Hey, it would be really cool if we started a club and got to meet other people who were interested in it,’” Perkowski said. Bryan’s favorite memory at Webster was their first meeting, at the end of junior year. “The first meeting junior year we filled the honors U.S. studies classroom, and it was after senior check out but seniors were there. We really had no idea what we were doing. It was a really big mess, but there were so many people there that supported what we stood for despite how many people were really not in support of us and that felt really good,” Bryan said. In their free time, the group enjoys Mario Kart, Wii Party and grabbing coffee. “Basically anything we do has to do with food so we run out of money a lot. 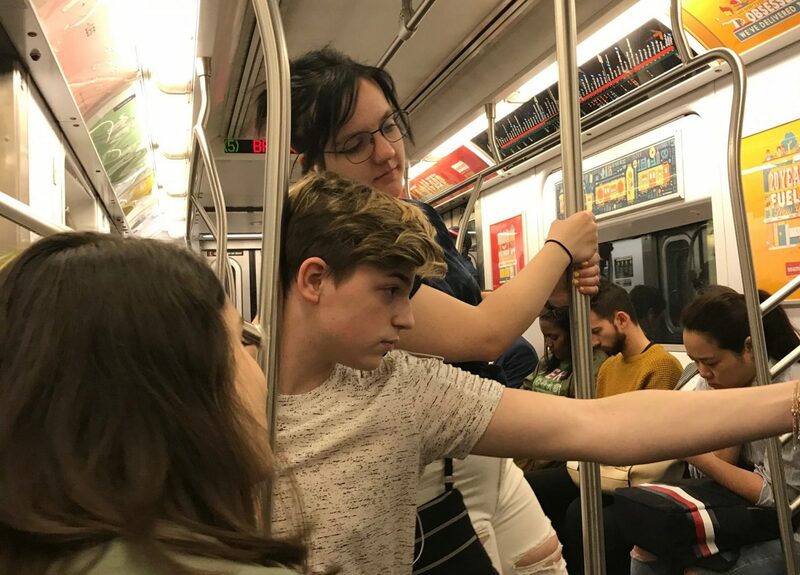 When we don’t know what to do we park at the field at Eden and sit for two hours and try to plan, but then our entire night is there in the car,” Metzger said. The group often has sleep overs in Perman’s room. She has two beds, and each member of the group has her own designated spot. “My favorite thing is to see what the last word of the night is going to be and then we all fall asleep. One time it was just ‘Justin Bieber’ and then we were like ‘alright, that’s the one,’” Metzger said. The group will spread all over the continent next year. Metzger will attend Smith College, majoring in women’s studies. “I’m just gonna live,” Metzger said on her plans for next year. Bryan will attend SLU, majoring in public health. “I don’t know any career that stems from that, but I know I’m gonna live,” Bryan said. Perman will attend Loyola Chicago. Her major is undecided, but, “You know, I’ll be living,” Perman said. “Initially, all of us leaving will be sad because we see each other all the time and going from seeing each other to not will be hard, but I think that we have a good enough friendship that it will for sure last throughout college,” Perkowski said.